There is a growing global interest in Africa and how to improve the quality of life of its people—and for good reason. The world can no longer afford to ignore the democratic changes that have occurred across the continent over the past two decades, changes with tremendous implications for professional education and training for the tasks of nation building. Public Administration Training in Africa: Competencies in Development Management presents research findings related to talent and competency development within the framework of public service institutional capacity building. The book focuses on public administration questions as they relate to training, development, and competency building that will strengthen public managers’ capacity to implement governance policies and work toward improving development management. It draws on unique national experiences to provide research and scholarship that advance the dialogue on training and development relevant to African culture and history while at the same time contributing to enhance the field of practice. In addition to offering detailed descriptions and analyses of unique national experiences, the book also integrates transnational issues of training and development and ties the discussions back to the body of knowledge and scholarship defining the field and discipline of public administration. 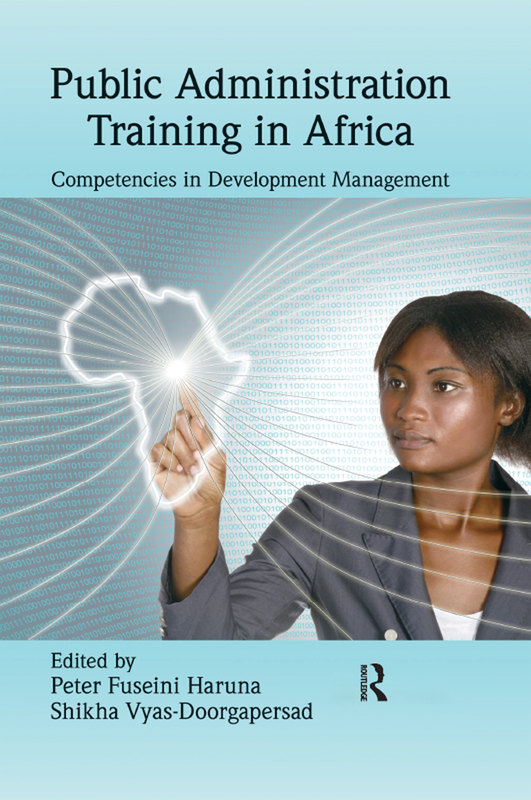 As scholars and experts in their own right, the authors make a reasoned case for rethinking and re-examining training and development in Africa in light of the emerging governance approach to public administration. The comprehensive empirical descriptions and analyses of education and training contexts and cultures written by some of the best minds in the subfield give you the latest research findings and distill relevant experiential and theoretical knowledge, tools, and skills based on case analyses, including carrying out development activity in different cross-cultural contexts.